For those of you considering writing an essay for this year’s Essays on Childhood: A Sense of Place, I wanted to share an excellent example of how only a few words in a literal place description can have a powerful double impact as both metaphorical and literal reality. In the NYT piece, House is writing about the toll that coal mining takes on not only the land, but the people who are so intricately and intimately a part of that land. We don’t know anything about his great-aunt, his father, or even exactly what he is seeing. But the layers of pain are palpable in the image of a family grave literally buried in waste from an industry that dismisses such action as collateral damage. In this image, and these few words, we understand quickly that his great-aunt, this woman who was a member of his family, is being lost a second time to her loved ones. The cost of this grief is a ripple effect of a tightened chest in the next generation below her, and now in the author as the third generation. All are suffocating and suffering from the legacy of certain mining practices on sacred family ground. As you consider your essay, think about things you have seen in the landscape, house, fairground, school, play yard, or other place that had a strong influence on your childhood. Do you have a particular scene or memory of a physical reality that might serve to inspire your writing about your childhood? How do the emotions that rise when you “see” this place serve to generate adjectives, verbs, and nouns that may flow from your pencil and eventually become an outline of your story? 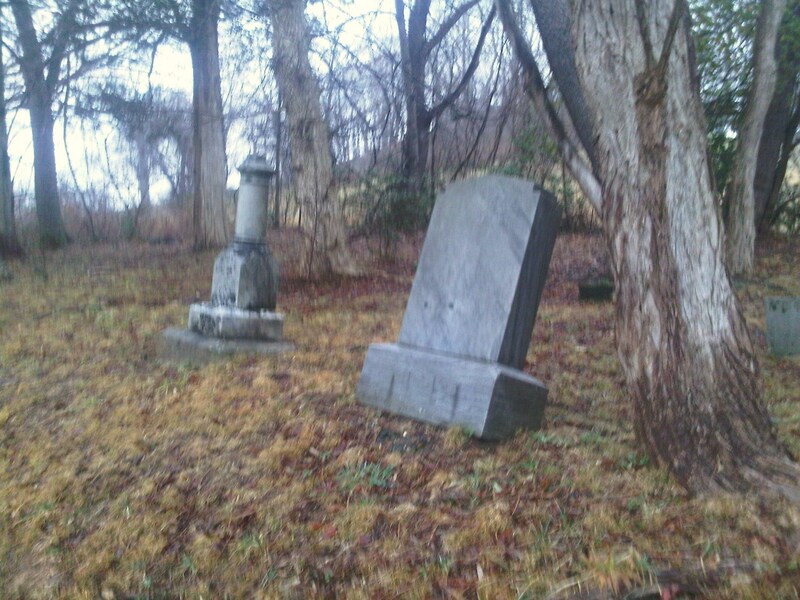 Image credit: Elizabeth Gaucher, small grave sites at the corner of Bridge and Loudon Heights Roads in Charleston, West Virginia.